Whether you are just starting out, or you are deep into your nursing career, it’s always a prudent course of action to keep your information current. As a nurse, there are multiple reasons why keeping your career information current is a good idea. You are already providing a high standard of care and keeping your skills and knowledge up to date. It just takes one more step to ensure you’ve kept everything actively current. You don’t need to keep an online portfolio, but having an online portfolio allows for easier networking, professional development, and career advancement. This asset should be maintained and improved throughout your career. 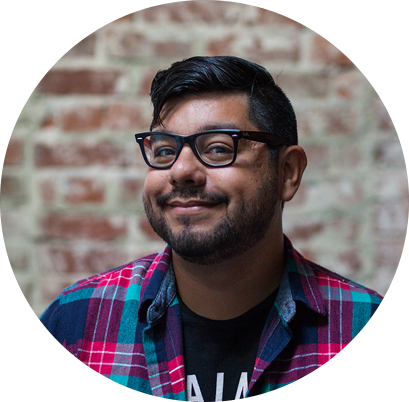 You may already have an online portfolio, or you may be considering starting one. This article will help you understand why having one and keeping it current is a beneficial asset for your career. Your career as a nurse is an important part of your life. You are an advocate for patients in the larger healthcare system. You give a lot of yourself each day. But you should also be an advocate for yourself as you develop. Whether your goals are to improve your skills or to take on leadership roles, all roads begin with a healthy approach to reflection and goal-setting from where you are today. How can you reflect on your career path without level-setting if your trajectory is line with your expectations to this point? 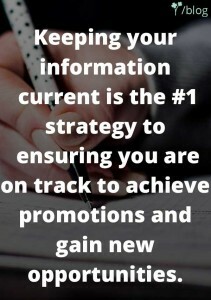 Keeping your information current is the number one strategy to ensuring you are on track to achieve promotions and gain new opportunities as well as remaining ready for unexpected events like layoffs. Ensuring the information that shows hospitals who you are and what you can do is one of the most practical things you can do outside work that helps you maintain your career trajectory. If you are diligent, you might even exceed your near or medium-term career goals. Once you’ve decided you’re interested in maintaining your information, it’s important to start with a short assessment of how current your information is and follow that up with high-level reminders of why you’re doing it. When was the last time you updated your experience and credentials in an easy-to-use and shareable place? Even if you once had an excellently-crafted resume, it’s easy to get caught up in the day-to-day of providing care to patients and missing out on maintaining your skills and knowledge or reflecting on your nursing career goals. You may already have reminders set to ensure you’re on top of credentials and certifications. If you haven’t, this is an easy first step to avoid mistakes or the stress of meeting deadlines in these categories. A few hours planning will remove stress and help set you up for career-long success. It’s important to spend some time on ensuring you are on the course you set for yourself. You owe it to yourself to keep your information current. As you progress through the process of formulating a plan to better maintain your information, be open to new ideas and being honest with yourself if your initial strides aren’t working for you. If you decide to start a family, for instance, your short-term goals as a nurse may change. But it’s all up to you. Either way, making a decision to actively maintain your information allows for better personal and career reflection. It’s immensely gratifying to see goals achieved and exhilarating to set new milestones for yourself. Some of these milestones might include promotions or new job opportunities, perhaps with more leadership than you are currently responsible. On the defensive side, keeping information current saves you time when the unexpected happens. If you get laid off, it is better to have your information up to date. This way, you could be back in the game and successfully interviewing before you otherwise would have been. The last thing you’ll want to be doing when you’ve just been laid off is updating a resume and credentials that are several years old. Keeping your information relevant and up to date avoids this pain (at a moment when you’ll also have the pain and stress of the layoff). As you move through your career, your cumulative experiences make you a more and more valuable candidate. Getting organized ensures you catalog the important experiences. With a plan, you’ll best be able to show what you’ve accomplished, organize your experiences, show advancement, and list your credentials. Whether you’re online or offline, on paper or on an ePortfolio, defining a maintenance plan will keep you focused. No matter your career level or current job status, getting into a rhythm will help you to remain focused on your career goals. Simply by reflecting on your accomplishments, you will be warier of them. When is the last time you updated your portfolio? The American Nursing Association career center staff recommend updating your portfolio annually. They suggest treating this effort as a personal year-in-review. However, we recommend updating more often than every year. Why? Let’s reflect on what we’ve already stated above. 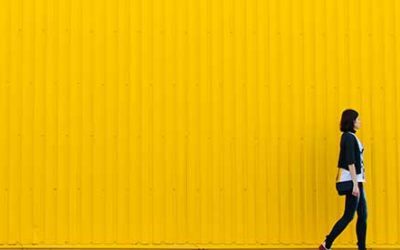 Reflection on personal and professional development ensures you’re primed to act on skills gaps, promotions, or new job opportunities and react to unexpected layoffs. A more frequent cadence (every quarter or ever six months) ensures you’re ready. Hint: you’ll also save time because you’re likely to remember more of what you accomplished. This cadence also grants you the ability to perform a passive job search to see what options are available and how the market values your current skill set and experience. If the dream job arises, you’ll be ready to strike while the iron is hot. Remember, it’s important to experiment and find out what works for you and your schedule. Do whatever works for you. Small amendments to your ePortfolio are far better than none at all. Find your rhythm and reap the benefits. Don’t like the idea of updating regularly? That’s okay. There is an alternative to regular updates. Instead of periodic updates, try updating your portfolio whenever you have significant updates. This strategy works for the type of person that loves to stay up to date. If you’re not this person, don’t sweat it. This strategy might not be for you, but it’s still something to consider for the following reasons. Some stories develop in small steps over time. Documenting this can help tell the bigger developmental story. Your resume looks a lot better to recruiters when you can show a five-year developmental curve versus five one-year stints of comparable responsibilities and contributions. In addition, this maintenance approach removes the stress of doing big updates and ensures you remember everything. Furthermore, sharing your achievements and how you’re documenting them with peers and other professionals can help to level-set your progress and your trajectory. This strategy allows you to regularly share your portfolio and resume with your peers and mentors. 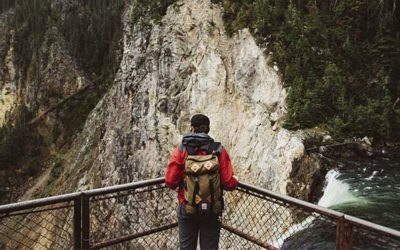 You may now be ready to jump into your old ePortfolio. If so, that’s great! You might also be looking for options catered to you as a nurse to make the ePortfolio process even more seamless. If so, read on. You’ve bought into staying current and are ready to try out an ePortfolio solution that lets you stay current with less effort. There are several ePortfolio options, but we want to encourage you to try StaffGarden, too. If you already use StaffGarden, we hope you’ve been appropriately encouraged to log in and update your ePortfolio. If you’re considering using Staffgarden, give it a try for free. StaffGarden’s software makes it easy to get set up and is ready for all nurses regardless of career level or current job status. You may already be gainfully employed, but StaffGarden can be a great resource for your long-term career. Staffgarden is an ePortfolio technology exclusively for nurses. We allow nurses to keep track of all of their nursing education, experience, licenses, and certifications all in one place all for free. 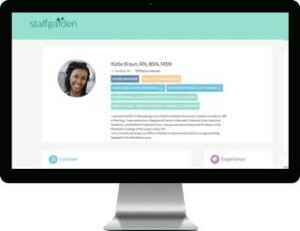 Staffgarden also provides tools to nurses like a resume generator, secure document storage, and a custom link for you to share potential employers, current leadership, or ever your peers. We also partner with hospitals to help them find the right nurse for the right job. By having our nurse fill out a nursing specific application, it gives hospitals insight to nurses who are interested in a position, without having to interpret formats or search for keywords. Our exclusive nurse system gives you as a nurse a tool never available before – the ability to keep track of all of your information in software designed exclusively for nurses. Unlike LinkedIn, our information isn’t searchable. You don’t get offers from unrelated businesses, and the ePortfolio is housing information that’s only relevant to your career as a nurse. We understand how important keeping information current is and have built features to make that process—normally stretched between multiples sites and apps—into one all-in-one tool. With this central tool, your networking, job searching, and ability to stay connected is easier than ever. StaffGarden’s platform is expressly designed to promote a sense of community among nurses who join the service to further their professional careers. We’ve already had great success at the personal recognition level with our BAM initiative and are getting recognized in the larger nursing industry, too, for efforts like the Hoag hospital test. Depending on your career trajectory, StaffGarden’s tools have everything you need to get recognized for your amazing work. You can track, advance, & explore new career opportunities with StaffGarden. You are an advocate for your patients. We are the advocate for your career. StaffGarden is built for nurses at all stages of their careers. That’s why we dedicate ourselves not only to our core product but also to providing other useful professional development resources, like our article on how to be a better preceptor or our article on how the industry is beginning to view candidates with a StaffGarden ePortfolio. We even write ANA conference updates if you can’t make it to them. Specifically designed for nurses, StaffGarden is quickly growing into the go-to place for networking, professional development, and job searching. Consider updating your current StaffGarden ePortfolio or simply get started for the first time today! Need help? We actually like hearing from you, so give us a call. Our contact information is here.